If you're in the photography niche or are in need of photography style graphics and images for your overall theme, then this collection of designs is perfect for you. You can customize these designs ever so easily and make them your own. Included is a variety of stationery with editable Photoshop files included. These designs are a solid inspiration for you and you can enhance, move around, or tweak things as you need them. That's the great thing about having templates on hand when you are lacking time or have clients or deadlines hanging over your head. Change up the text and insert your own content in its place and you're good to go. 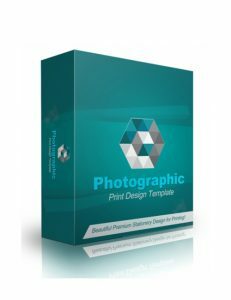 Photographic is one that will best represent any company in the photography space so if this is the one you've been waiting for, grab it now. 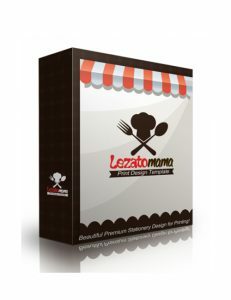 If you're a chef, a restaurateur, or you're needing some unique and professional designs for a client in the cooking/restaurant space, then Lezato is the optimal choice for you. These powerful and high quality stationery graphics will take you beyond anything your client could possibly visualize when it comes to quality and creativity. When you're creating or looking for a design for a specific niche, there can be challenges. You need to be able to develop a good vibe that reflects the niche the best possible way. That's what makes Lezato such a good choice. Everything is easily editable even if you're not a Photoshop ace. One of the perks of having design templates on hand is that they can save a lot of time and aggravation. Plus you can't be expected to be conjuring up countless amazing designs daily. Even the world's most accomplished designers need a break. Make your life easier with Lezato. When you're ready, hit the download button. Are you needing some amazing design stationery in the fruits niche? Or perhaps you have a client needing some fruit related design work for their company? If that's the case then Fruitago has got you covered. Simple, colourful and easy on the eyes is what makes this design such a good grab. Some of the challenges faced by designers is trying to be creative in every project and sometimes lacking that bit of inspiration, especially when pressed for time. Deadlines are aplenty but there's not as much time to spare on putting together masterpieces to keep everyone happy. 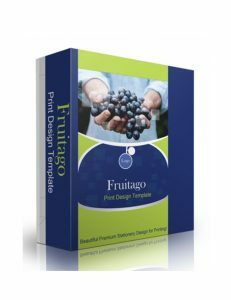 That's why design templates can be a huge help and you'll definitely benefit with Fruitago. This collection of graphics include brochures, CD boxes, labels, envelopes, ID cards, letterheads, logos and more. Rest assured that your clients won't be disappointed when they see the lovely and attractive graphics of this pack. Grab it now. 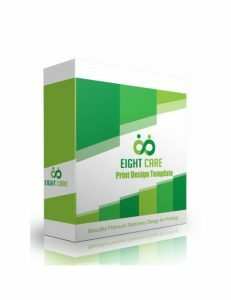 Eight Care is a marvelous collection of stationery that gives you the edge and a professional outlook for your company or for your clients' needs. Designing isn't easy when you are strapped for time or having a bad day. That's why it's good to have a set of templates on hand with high quality graphics since it saves a lot of headaches and can give you an extra bit of inspiration. These professionally crafted graphics can be used for any style of business, especially for the tech environment. The designs are simple and appealing and are easy to edit if you are seasoned with graphics software. If you're not, don't worry because these graphics can easily be edited even without much creative skills. You can simply replace the text with your own or move the graphics around if you like with ease using just your cursor. There's nothing to it. So when you're ready, hit the download button. If you're looking for a high quality, professional and office-like design then this package will have you super excited. Office hits the mark when it comes to simplicity. It also uses a good amount of white space to show that less is more while still being powerful and eye catching. A lot of people like in-your-face impactful designs while others like the more simple and classy style of design. If you're in the tech space then Office is a great choice. You'll find a ton of great designs in this collection of templates including fonts, brochures, CD boxes, labels, envelopes, ID cards, letterheads, logos, pins and more. Regardless of the environment you're working in, whether you're working for yourself or for a company, you need to keep your design game up to snuff and that includes being able to run off designs quickly. Especially when there's not much time for you to be creative from scratch considering how urgently some clients need work done. That's why having pre-made design templates is necessary. And you can't go wrong with this one. Grab it now. Simple and professional, that's what GreyToSC is all about. If you want professionalism for your business or your client's business then you should grab this pack now. Inside you get lovely stationery including letterheads, logos, brochures, CDs, 3D boxes and a lot more. The design industry has no time for the creatively challenged. But it's not the job of your clients or the people working elsewhere in your company to be creative. It's on your shoulders to produce great stuff on computer or paper. And if you're pressed for time or need a little boost then GreyToSC is the answer. 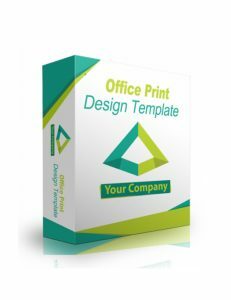 The stationery and templates are easy to edit and adjust as per your needs. You have a good amount of editable artwork at your disposal here. And when you send this to the printer all ready to deliver to your clients, you'll surely be getting even more business when your clients see how efficient and talented you are. Don't delay. 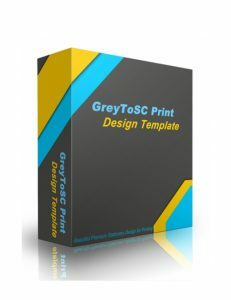 Hit the download button and see something amazing with GreyToSC. If you're looking for class, quality and professionalism, then Janco is what you want. This amazing premium stationery is perfect if you want to wow your clients. Janco is ready to go and you can produce something awesome for your clients' businesses or for your own. It's not easy being creative and hitting one out of the park every time out but that's the nature of the design industry and you need to be able to produce great stuff at almost every turn. Templates like Janco make things much easier as you have ready-made graphics that are primed for printing with little adjustment needed on your end. Inside this pack, you get tremendous designs across a variety of stationery including brochures, letterheads, mugs, pens, name cards, logos, and much more. If you want to have the best of the best then this is the download for you. Why spend so much time being creative when creativity is right at your doorstep? Grab it now. InformaTech is all about high quality abstract design combined with class and professionalism. If you define your own business with these traits then this is the package for you. You want to showcase your company as being both reputable and professional. That's what gets people interested and it's how you get your prospects to become paid customers. Even if you're working as a freelancer or running a design department in a company, you need to be able to get things done and dusted quickly. That's why it's essential to have your own line of templates and designs ready to go when the situation demands it. 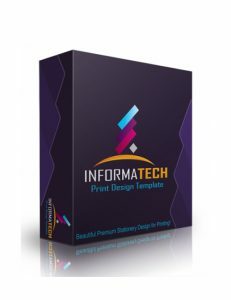 InformaTech is a brilliant package that you'll love for those reasons not to mention that it absolutely does not lack in any way whatsoever when it comes to powerful and eye catching work. Inside this collection you'll find stationery like fonts, brochures, 3D covers, envelopes, letterheads, logos, and much more. When you're ready, make the download.